D.E. Williams grew up in a rural community in East Texas, attended the local high school, and went on to obtain an Associates of Applied Science Degree as a Legal Secretary from Blinn College in Brenham, Texas. Later earned a Certificate from the Texas Center for the Judiciary, a Para-Legal Certificate from Lamar University in Beaumont, Texas, an Associates Degree in Business Administration from San Jacinto College in Pasadena, Texas, and certificates for Phase I and Phase II of the National Center for State Courts’ Institute for Court Management. By this time, she decided that she’d clocked enough hours for a Ph.D. – or a Masters Degree, at the very least – and called a halt to the educational endeavors. Apart from aspiring to become an author, she at one time or another wanted to teach, coach, be an attorney, an accountant, and a computer programmer. Strangely enough, her career path has led her in all of these directions. She’s worked as an accounts receivable clerk for an oil well servicing company and a farm implement company; as a clerk in a District Court in a small East Texas count; as a Judge’s secretary and deputy court reporter; as a legal secretary for a law firm in Houston, Texas; as a District Court Coordinator; and as part of a District Court Tech Support team. She eventually went to work for a case management software company in Albuquerque, New Mexico, as an Industry Specialist (fancy name for software trainer), where she has the opportunity to travel, and to meet and train court and prosecutor staffs all across the country. She also works with her software developers to insure that the case management system meets the needs of the courts and offices she trains. Along the way (in her spare time), she’s taught children’s Mission and Bible Study Classes in several churches and cheered her church students on at middle and high school sporting events, mentored high school math students, and recently mentored aspiring young writers in their senior projects. Ms. Williams started writing at the age of 10, sharing a series of mysteries with friends in late elementary and middle school. In high school she worked on writing a play with three other members of her senior class. They weren’t able to put the play in production, but had a great time during study hall pulling it together. She wrote a romance novel and a sci-fi short story in the early 80’s, which she didn’t pursue after initial rejections. [She freely admits that she knew nothing of the writing industry back in those early days and would have done things differently if she had only known what she knows today!] Her writing went into hiatus for a time, as she became a voracious reader of sci-fi, fantasy, and mystery stories. But as any writer knows, you can’t deny the addiction for long and she started writing again, asking a friend to hold her accountable for producing word count each week. 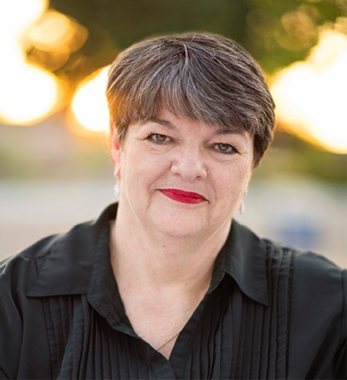 In the process of honing her craft, she attended continuing education classes for writers at the University of New Mexico, where she learned about the Southwest Writers group. She signed up for workshops and a membership with SWW, and met her mentor, Kirt Hickman, through the group’s mentorship program. With inspiration and encouragement from SWW, advice from her mentor, and from the strong support of a close circle of friends, Ms. Williams self-published her first novel, Child of Chaos, in December 2015.